Yesterday, I had the toasted naked longganisa with brown talangka rice for brunch. I missed my Maginhawa favorite, and it’s still delicious! 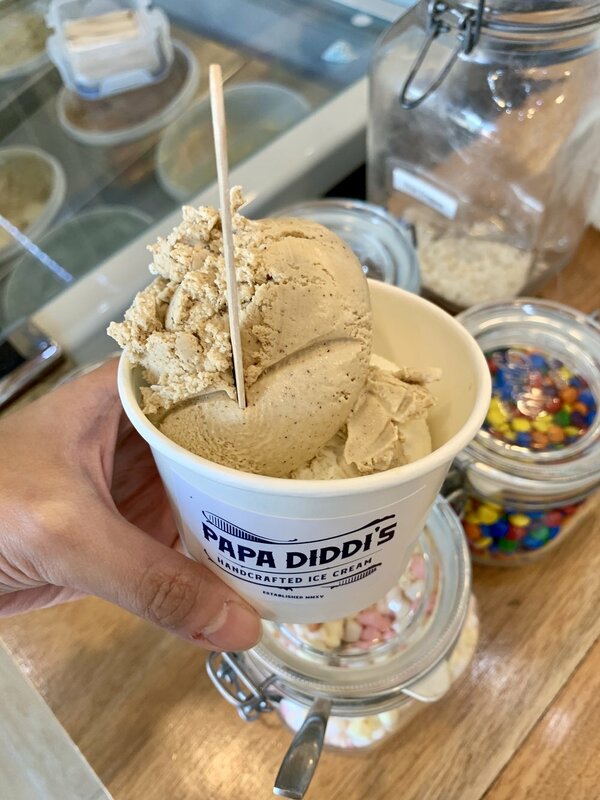 For dessert, I had two scoops of Papa Diddi’s ice cream. I had cheese closed and barako- both flavors complemented each other perfectly. I have my usual foodie finds, and I can’t go wrong with them. If you find yourself craving for a hearty breakfast and yummy ice cream in local flavors at Maginhawa, look for the brands above! You won’t be disappointed.